If you own the Samsung Galaxy Tab 10.1 with LTE on Verizon, you should receive an update in the very near future. 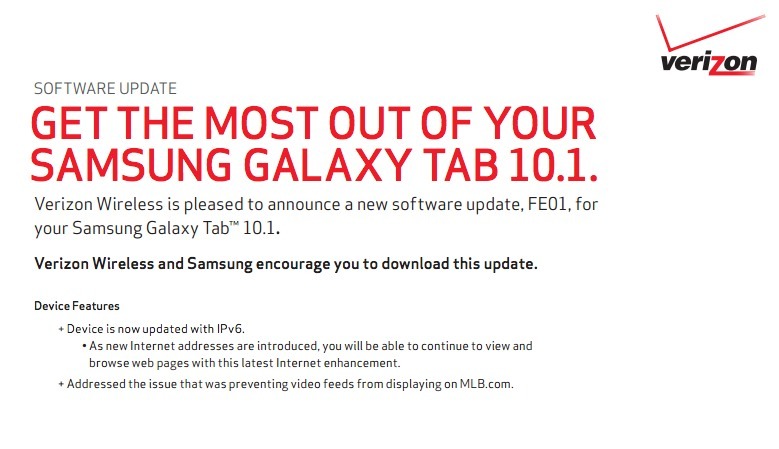 It appears to be ultra-minor, but does address a streaming video issue that was happening on MLB.com. It will also update the device with IPv6. And that’s pretty much it. The new build number is FE01.